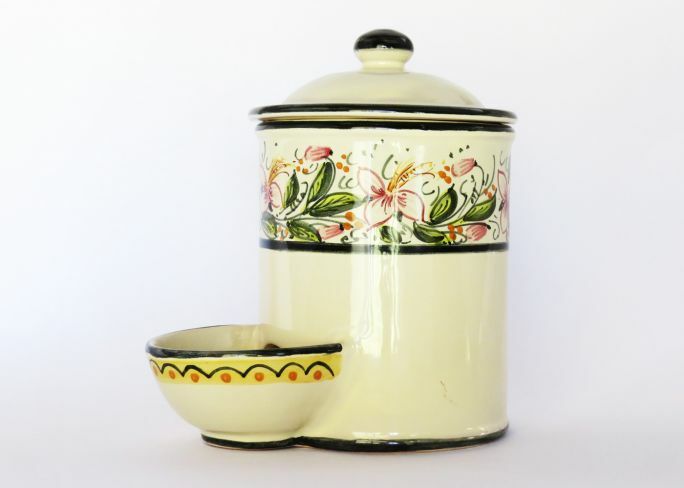 Jar for salt with little bowl, painted by hand. 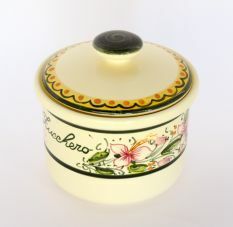 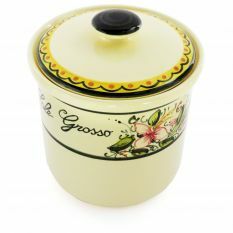 This jar is handmade and hand-painted with artisanal procedures and materials suitable for food use. 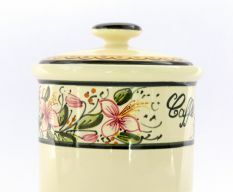 A jar for salt useful and refined, fitting to every kitchen.